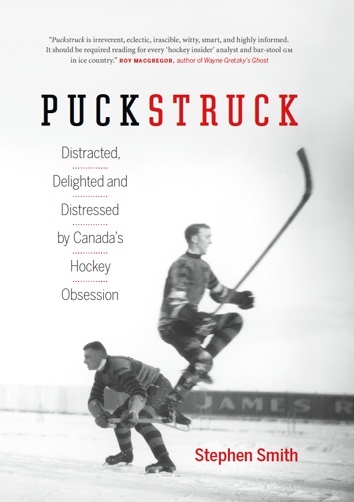 Staredown: Those of us who studied under Bob Armstrong recognize this glare as the same one he used in his post-hockey career to quell classroom uprisings during his time as a popular teacher of History and Economics at Lakefield College School up north of Peterborough, Ontario. Big Bob, we called him, except when he was within a kilometre of possibly hearing us. He wasn’t so stern as all that, actually: we loved him at the Grove. I tried out year after year for First Hockey, the team he coached for so long to so much success, but I was never good enough to make the cut. That didn’t keep me from conjuring a notion that because he’d faced Maurice Richard and Gordie Howe and Max Bentley during his 12 years as a Bruin rearguard, hadn’t I also, sort of, too … by extension? Mr. Armstrong, who died on this day in 1990 at the age of just 58, was only ever a Bruin. For much of his tenure in Boston, partnered with Bill Quackenbush, he wore on his sweater the number 4 that Bobby Orr would eventually show up to claim and immortalize. 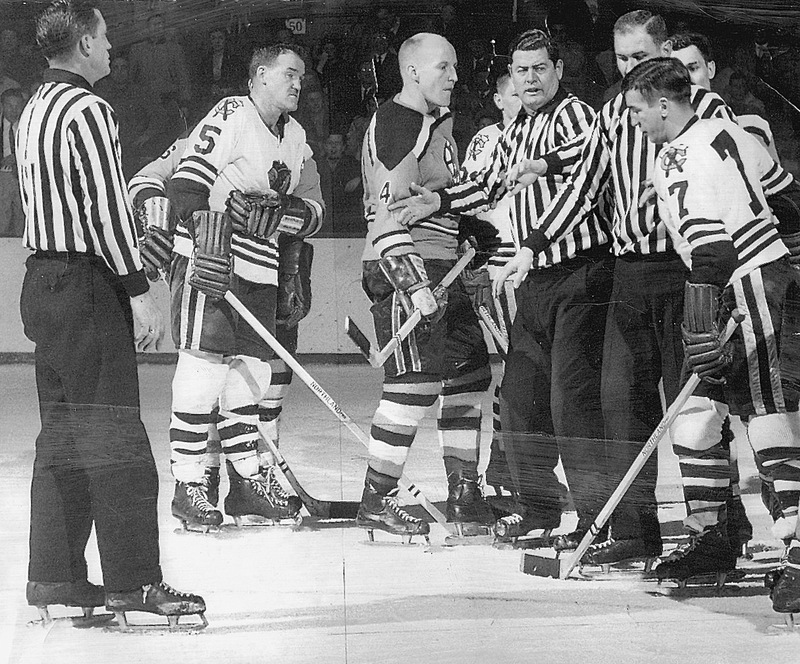 Here, in March of 1960, Bob Armstrong schools Chicago’s Ted Lindsay, numbered 7, and a formidable glarer in his own right, though looking fairly apologetic here. But then other than Mr. Armstrong, everybody here, officials included, is looking kind of sheepish, no? Number 5 for the Black Hawks is a contrite Jack Evans.